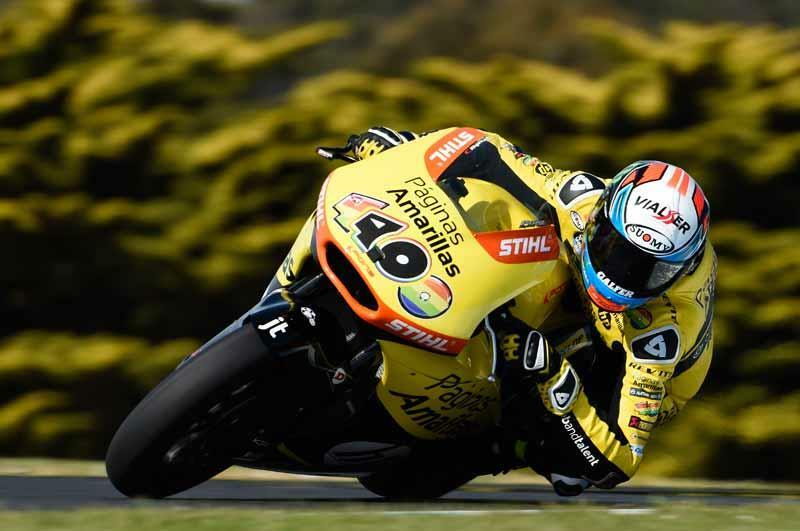 Alex Rins and Sam Lowes have been in a class of their own this weekend and ahead of qualifying it looks clear that the fight for pole position will be a shootout between the two. The fastest time of the morning was traded from one rider to the other but ultimately it was Rins who set the fastest time final practice. 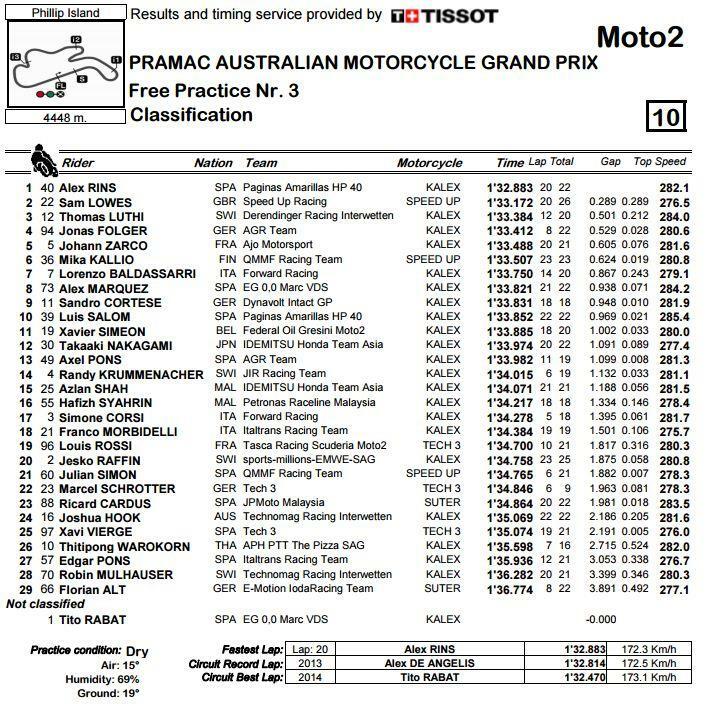 While the times show that Rins was almost three tenths quicker than Lowes the British rider completed his session with one stint of 26 laps and after only using one rear tyre yesterday it was a clear indication of what to expect for the rest of the weekend from Lowes.